Is the Advising Program Right For Me? The Attorney Advising Program offers document preparation services in contested family law cases as well as attorney representation for negotiations with the opposing party. In this program, you will receive regular meetings with your attorney and basic instructions on how to represent yourself in court. The attorney will be able to provide assistance on the issues in your case, such as child custody, creating a parenting plan, division of assets and debts, and child and spousal support. 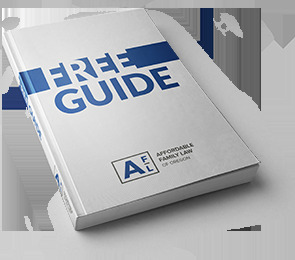 You will also receive materials and instructions on how to file documents, how to serve the opposing party, and how to procedurally navigate your way through the family court system. You should have confidence in your ability to file documents and represent yourself in court, as this program does not include attorney representation at court hearings. This is a great option if you cannot afford full legal representation, but would like assistance from an attorney in all stages of case leading up to your trial.